For a foodie the chance to watch a top chef whipping up a storm in the kitchen and having them cook for you is like gold dust. It doesn't really happen very often and when it does it is something to get really excited about. So when an invitation popped in my inbox inviting me to see Leisure range cookers in action and executive chef Dan Doherty from Duck and Waffle cooking a three course meal I was already there. Well I was dreaming and salivating about the food. 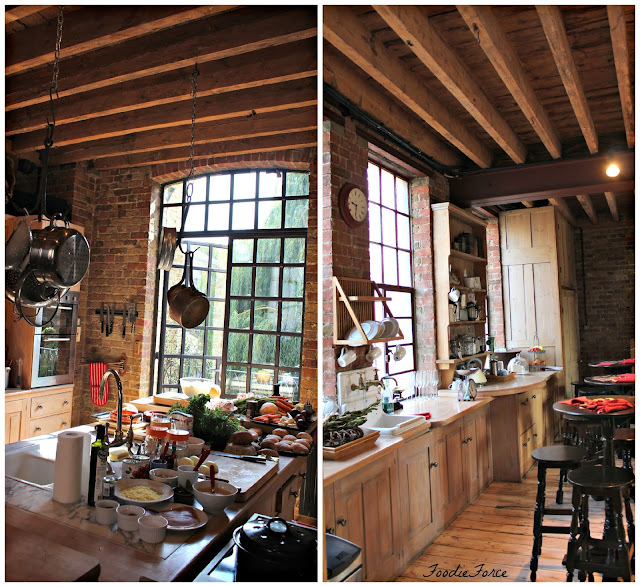 The event was set in a beautiful Victorian loft kitchen with exposed roof trusses and pine floors in Shoreditch. Can we all just marvel at how beautiful this kitchen is. 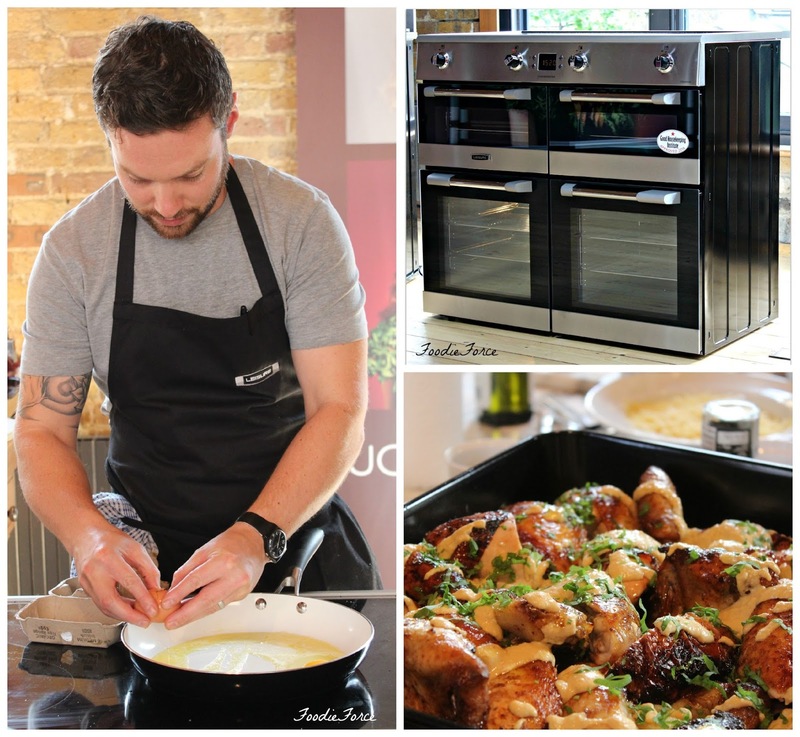 The new Cookmaster range cooker took centre stage in the beautiful kitchen. Can you imagine cooking Christmas lunch on this beauty, with so much space there would be no need to sacrifice the roast potatoes over the roast. I'm adding it to the Santa wish list, I have been a good girl this year (does that count!). Breakfast - Cheddar Brioche Rolls with Chipotle Baked Beans. Brunch - Salt beef & sweet potato hash, corn, avocado, hot sauce & fried eggs. 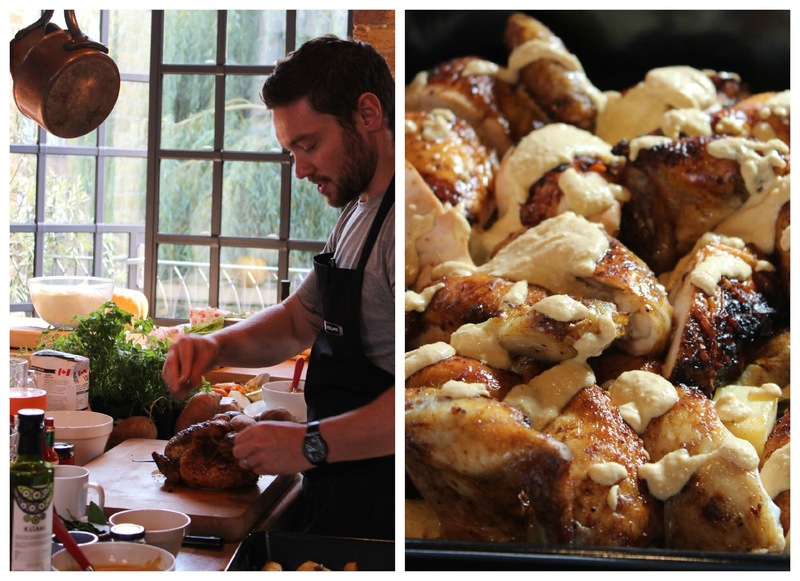 Dinner - Pomegranate molasses & Harissa glazed chicken, spiced roasted root vegetables, chick pea 'bread' sauce. 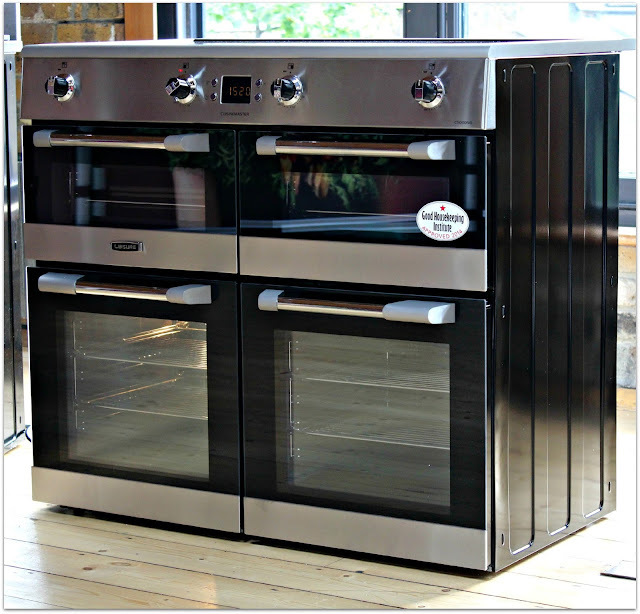 Preheat the main fan oven cooker to 160 degrees. For the chicken, mix the harissa & molasses together with the thyme. Rub all over the chicken, getting into all the nooks and crannies. Place into a roasting dish, season with salt and pepper and roast for an hour and a half, or until cooked. It will get a little dark but that’s ok, if its getting too dark just lower the temperature a bit. In the meantime, bring a pot of water to the boil, season with salt then blanch the carrots, swede and parsnips for a minute. Strain and put straight into another roasting dish. Add the red onions, garlic and rosemary, drizzle with olive oil, then add the spices and seasonings. 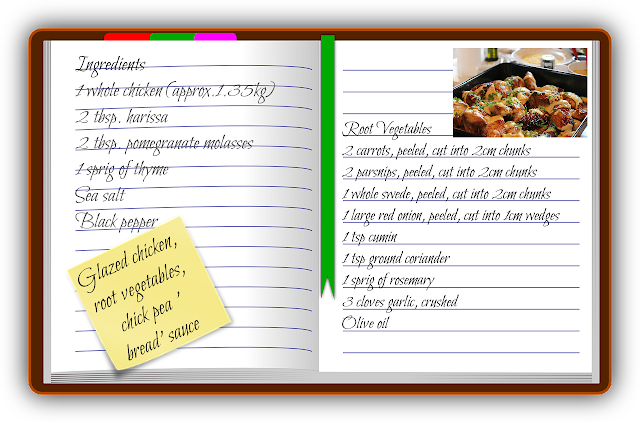 Mix all together with your hands and put in the fan oven with the chicken for 35-40 minutes, or until cooked and golden brown. To make the bread sauce, blend all the ingredients together in a food blender (100g cooked chickpeas,1 Lemon, zest only, pinch of chopped parsley, 1 clove garlic, crushed, sea salt and black Pepper) and transfer to a small saucepan. 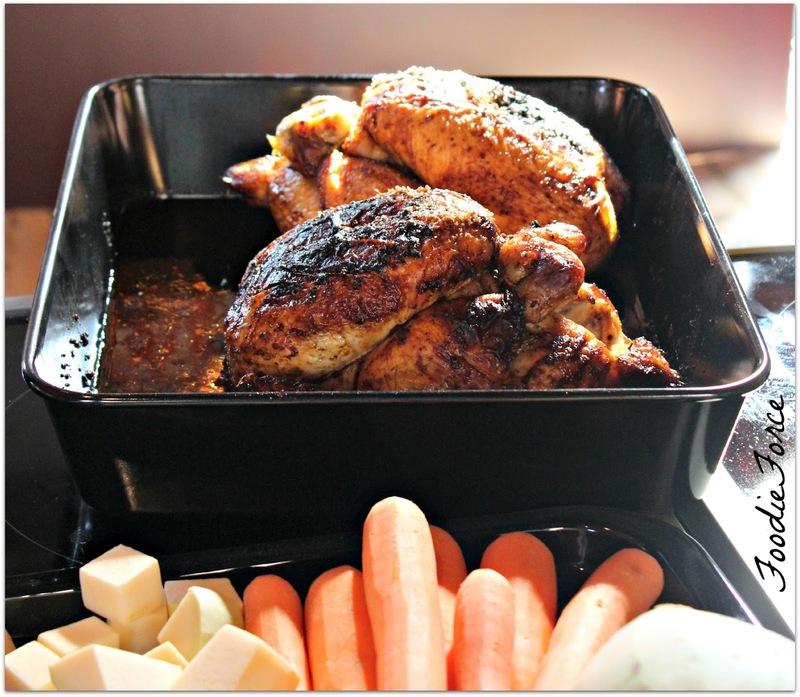 When the chicken is rested and carved, heat the sauce and serve alongside the meat and vegetables. 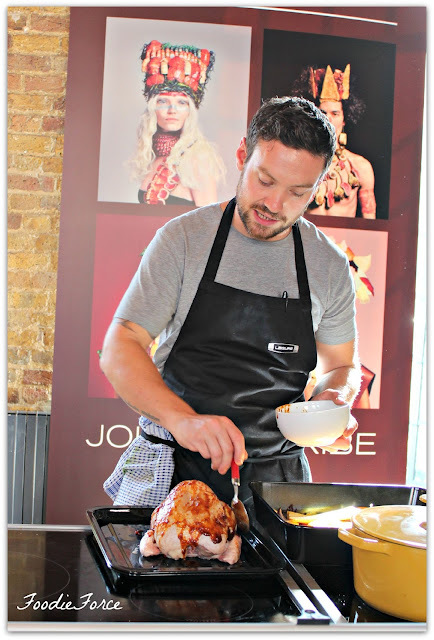 Watching Dan Doherty in action was a brilliant experience, first of all his love of food, cooking and using the best ingredients shines through. There is no pretension, it is all about the food and people enjoying the food he has made, there's no arrogance. Dan's attitude is no one can't cook, there is no molecular science and no miraculous cheats. His view to cooking is nothing is ever ruined there is always a way back. 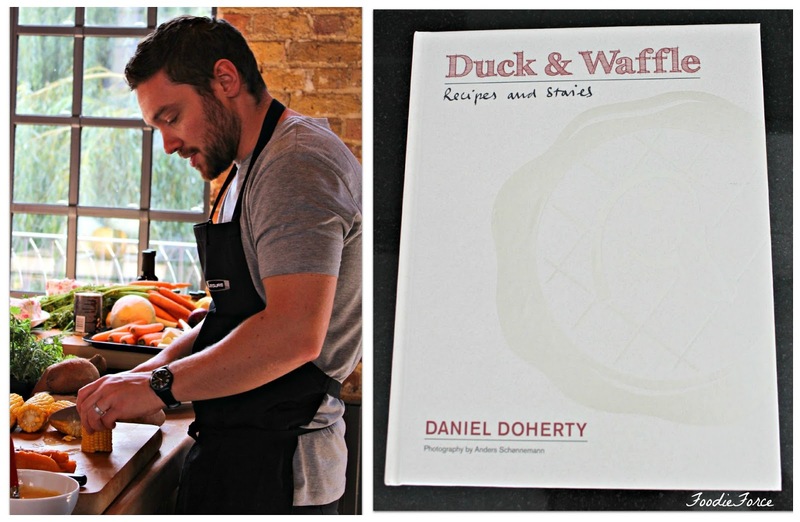 Duck and Waffle has been on the FoodieForce bucket list for a while. Despite being open 24-hours a day trying to get a table is quite the challenge but having seen Dan in action I am making it my mission to visit. 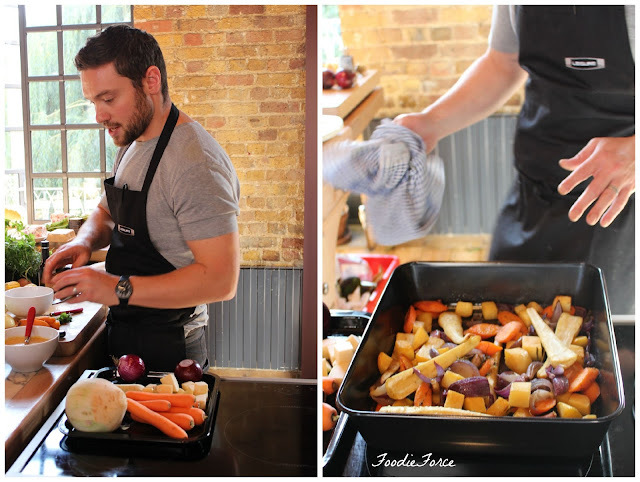 If you could have a chef cook for you who would it be and what would they cook? *I was a guest of Leisure cookers at the above event but as always my opinion and views are very much my own. Oh wow, Lucy! This looks like such an amazing experience. I can't imagine how happy you must have been! Wow wow wow! My mouth is watering! This looks so delicious! I really want to visit Duck and Waffle soon.